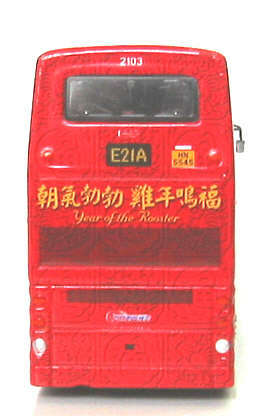 The model - the model was released in Hong Kong on 5th May 2005. 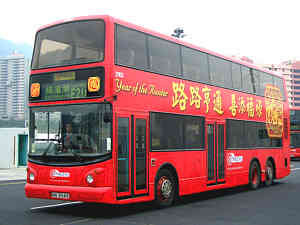 Quantities became available in the UK during July 2005. 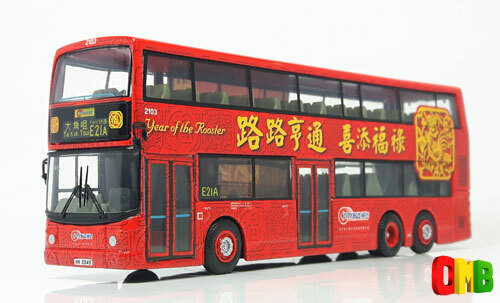 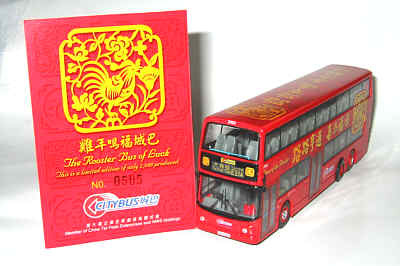 The box end labels this model as being numbered CM059, which I assume denotes it being the 59th licensed Citybus Model. 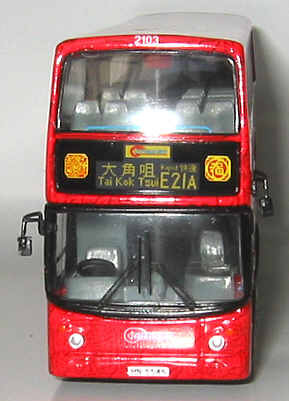 The base of the box confirms Corgi's details and their product code of OM44402. 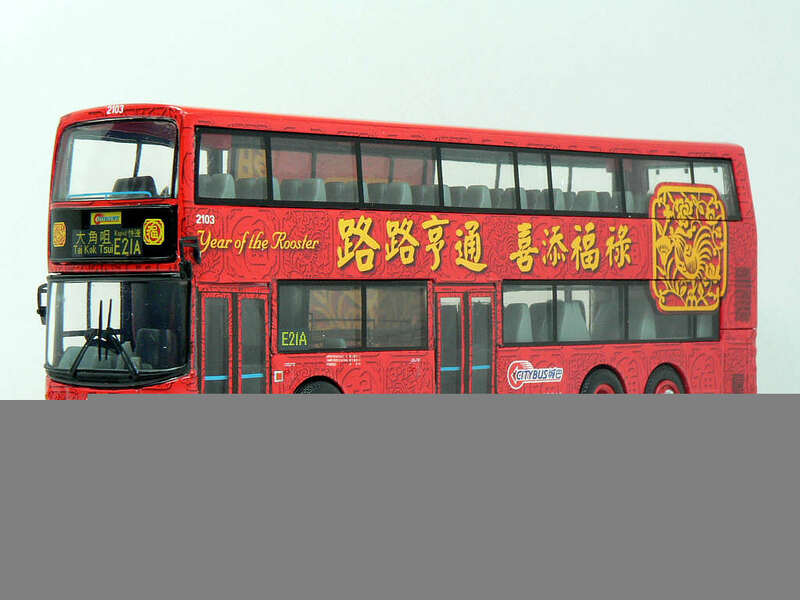 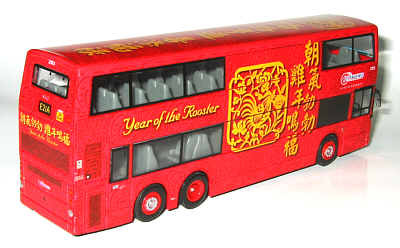 On 1st February 2005 Citybus unveiled their 'Year of the Rooster' livery on Alexander bodied Dennis Trident No. 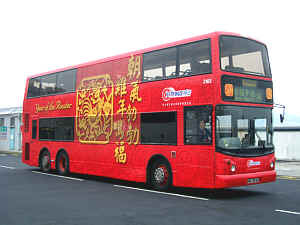 2103.
in the Xtra section of the site.